Lionel Wafer (1640-1705) was a Welsh surgeon, explorer and sailor. In 1680 he began an adventure that he latterly published in this volume. A ship's surgeon, Wafer made several voyages to the South Seas and visited Maritime Southeast Asia in 1676. The following year he settled in Jamaica to practise his profession. In 1679 two noted buccaneers named Capt John Cook and Linen convinced him to become a surgeon for their fleet. In 1680, Wafer met William Dampier at Cartagena and joined in a privateering venture under the leadership of Capt Bartholomew Sharp. 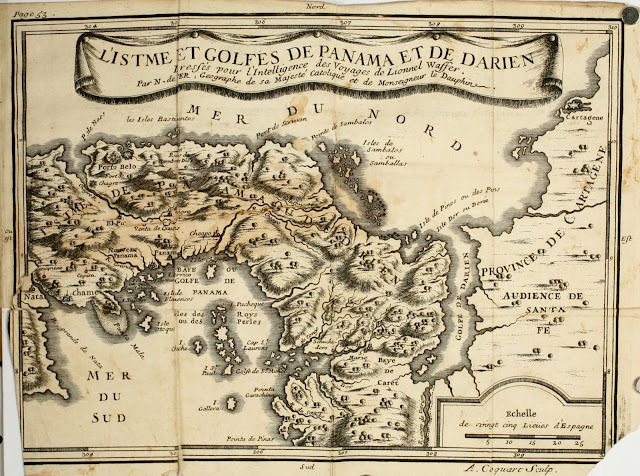 After a quarrel during the overland journey, Wafer was marooned with four others in the Isthmus of Darien in Panama, where he stayed with the Cuna Indians. He gathered information about their culture, including their shamanism and a short vocabulary of their language. 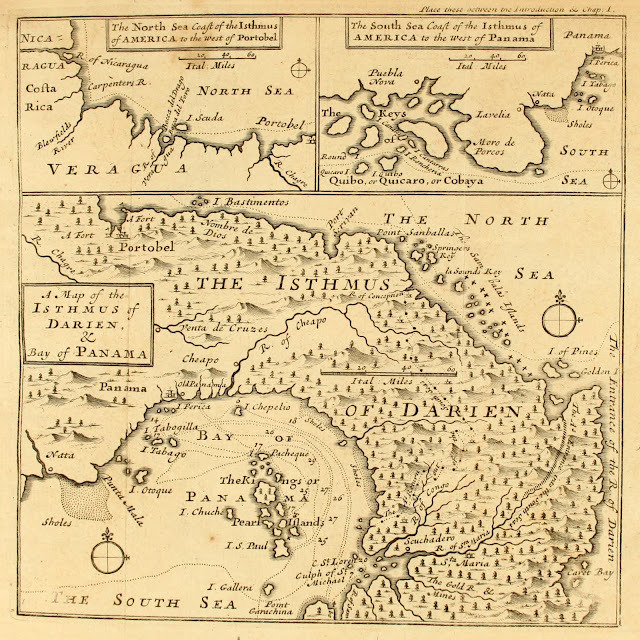 He studied the natural history of the isthmus. The following year, Wafer left the Indians promising to return and marry the chief's sister and bring back dogs from England. He fooled the buccaneers at first as he was dressed as an Indian, wearing body-paint and ornamented with a nose-ring. It took them some time to recognise him. Wafer reunited with Dampier, and after privateering with him on the Spanish Main until 1688, he settled in Philadelphia. 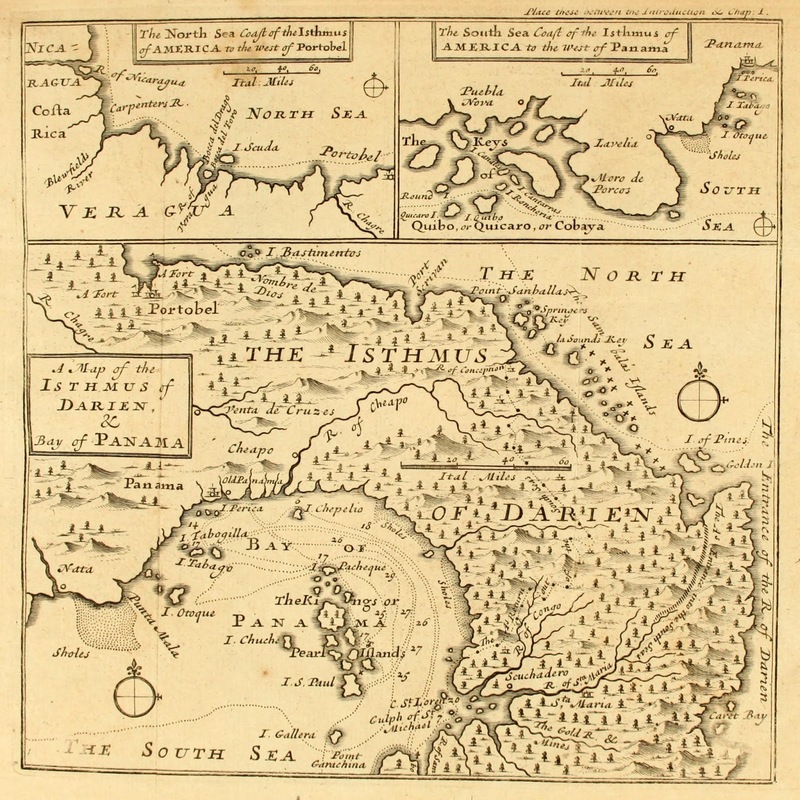 By 1690 Wafer was back in England and in 1695 he published A New Voyage and Description of the Isthmus of America, which described his adventures. It was translated into French (1706), German (1759), and Swedish (1789). Wafer includes a beautiful engraved map in the book, shown below. The scale bars are marked in Italian Miles. One of the interesting aspects of the book is Wafer's description of the Cardinal numbers and counting system used by the indigenous Cuna peoples of the Isthmus. Wafer observes that their counting system is similar in style to the Gaelic used in Ireland and the highlands of Scotland. The French translation of Wafer's travelogue is also available HERE, which includes the map below.